The Equipment Dealers Association (EDA) announced the selection of OPOC.us to assist EDA members and participating regions with their health insurance and other employee benefit needs. OPOC.us optimizes health insurance coverage to provide cost savings to both the employer and the employee, and includes their unique Care Center support. 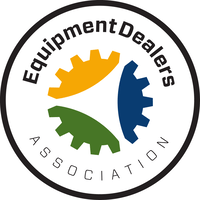 EDA joins regional associations United Equipment Dealers Assn., Midwest-Southeastern Equipment Dealers Assn. and the Northeast Equipment Dealers Assn. that already endorse OPOC.us.